The team met up at the Garage48 event and since then most of the effort has gone to the application development. The Timber Diameter application is meant for customers that need to measure the piles of logs in the remote areas, to get an instant and accurate data about the size of the pile. The working method is simple, client has to take the picture of the pile, set the parameters on the picture and the application does all the needed calculations. It even enables to measure the surface area of the pile even if the pile has an irregular shape. Currently there is pile measurement in Google Play! and in the beginning of June the panorama measurement for extra big piles will be available. We are extremely happy that the Garage48 Pärnu 2013 first Runner-Up GoWorkaBit was in the grand finals with us at the Brainhunt Competition. We find it as a clear signal – the more ladies you engage to the start-ups and companies, the more successful they are! At this point it would be appropriate to remember Margaret Thacther`s famous quote: "If you want something said, ask a man; if you want something done, ask a woman". So thank you Tech Sisters and Garage48 for having an event dedicated for ladies. Especially enormous thanks goes to Maarika Susi (Garage48 event organizer) and Elise Sass (Garage48 events coach)! WHAT WILL HAPPEN IN NEXT 6 MONTH? The next challenges ahead of us will be connected with quick expansion to different markets: Sweden, Finland, Latvia, Lithuania and so on. We already have interest from Tanzania, so there will loads of work to be done. We started as a mobile application but now we see our solution to be provided as SaaS, supporting clients with the sales, logistics, reporting and analysis modules that all use accurate data measured by application. Develop your product with clients! Talk to them from a really early stage of your product. Be brave and make decisions! Even if you don`t yet have the investors behind you. 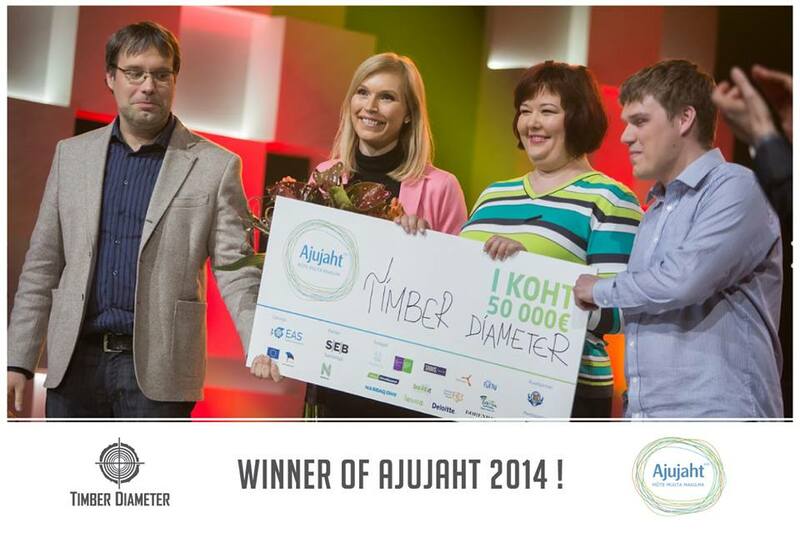 Post by: Anna-Greta Tsahkna (Garage48 Pärnu 2013 winning team & first-time participant) If you liked Anna-Greta's story, find Timber Diameter in Facebook to show support.